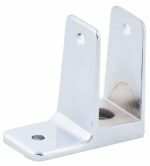 Centar Industries has dozens of brackets and wall brackets for bathroom stalls/toilet partitions including One Ear Brackets, SS Cast One Ear Wall Brackets, and Double Wall Brackets. 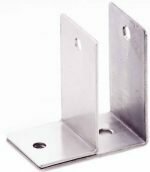 Our partition wall brackets come in various sizes from 7/8″ – 1 1/4″. 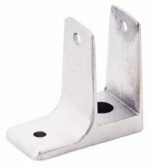 One ear wall bracket 7/8"
One ear wall bracket 1"
SS Cast one ear wall bracket 1"
One ear wall bracket 1-1/8"
One ear wall bracket 1-1/4"
SS One ear double wall bracket 1"
SS One ear double wall bracket 1-1/4"
SS Cast one ear wall bracket 1-1/4"
SS One ear double wall bracket 1-1/4""